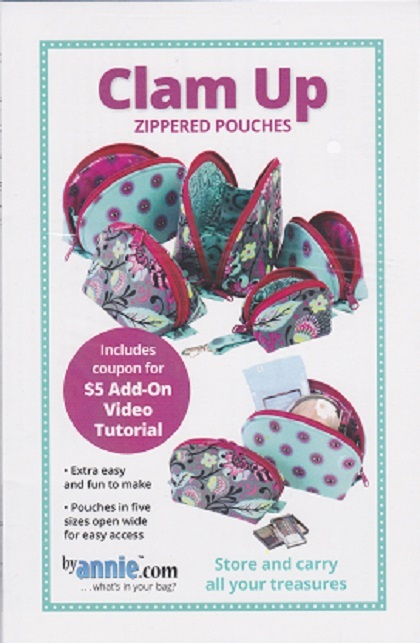 Zippered pouches in five sizes are perfect for storing and carrying makeup, sewing supplies, tech gear, and more. You may quilt the fabric or leave it unquilted and add optional iron-on vinyl laminate for a wipe-clean interior. Double slide zippers and handy grab tabs make the bags easy to open wide; attached side panels pre-vent contents from falling out. An optional strap with swivel hook may be add. When emply, the bags next to save space.